If you’ve been overindulging on the alcohol or skimping on the workouts, your metabolism may be lagging. What’s worse, you may feel ever so slightly under the weather, which is no way to live. But remember: your health is in your control. If you are feeling a little sluggish and off track, try these 8 simple tips to boost your metabolism and regenerate your energy. Sleep well. Your sleep habits and your metabolism are undeniably intertwined. According to a study published in the International Journal of Endocrinology, sleep deprivation can have stark effects on metabolism, including an increased risk for Type II diabetes. Lack of sleep or sleep dysfunction also increases appetite due to increased leptin production. If you have trouble falling asleep at night, try nixing the electronics for an hour before bedtime. The light from televisions or computer screens can stave off melatonin production and keep you awake. Drink (moderate) caffeine. Green tea and black coffee both have proven metabolic benefits. Research has shown time and time again that both green tea and coffee offer metabolic benefits as well as ample antioxidants. Just don’t overdo it, as being wired all night can outweigh the benefits. Surprise your body. Still doing the same old workout video from 5 years ago? Your body and your metabolism reap serious benefits when you switch it up. Try taking up a new workout hobby, like kickboxing or swimming, to contrast with your current regimen. Better yet, try HIIT (high-intensity interval training) if you’re really looking to get fit. Even though these workouts are shorter, they are more intense. The contrast of intensity to rest periods skyrockets your metabolism through the roof as you continue to reap benefits for hours to come. Hit the weights. More muscle mass means a better resting metabolic rate. What does that mean exactly? Well, the more muscle you have, the more calories you burn when you’re doing absolutely nothing. How do you build muscle? Weight training. No, you don’t have to be a muscle-head at the gym to use weights. Start off with many reps of light weights to challenge your existing muscles, and work your way steadily heavier over time to help them grow. Drink water. It seems obvious, but most people don’t drink enough water. How is your body supposed to function properly if it is lacking in its most essential substance? It doesn’t. As far as metabolism is concerned, a study showed that drinking 500 mL of water increased metabolic rate for about an hour by 30% in subjects, which is quite significant. Be aware that the standard 8-cups-a-day rule may not be enough. If you workout with any intensity, you’ll need more. Drink regularly throughout the day, and especially when you’re thirsty, to keep your body at peak levels of hydration. Also try incorporating a big, room temperature glass into your early morning routine. Drinking 2 to 3 cups (16-24 oz.) first thing in the morning after a dehydrating sleep revs your body up for a fantastic day. Get spicy! Spicy food not only reduces your appetite and increases satiety, but it also actually boosts your metabolic rate by about 8%. Stop eating bland chicken and sprinkle a chile rub on! 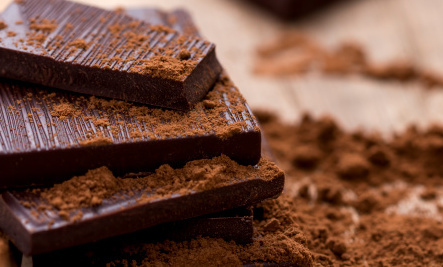 Both your taste buds and waistline will benefit. Eat smart. Certain foods are known to boost metabolism, like coconut oil, certain fruits, and especially proteins. Fill your diet with these healthy foods instead of processed, sugary alternatives to properly fuel your body. Note, if you overeat, this small boost in metabolism won’t compensate. Eat only when you’re hungry and until you’re 80% full to ensure maximum benefits of your metabolism-boosting snacks. Add a pinch of cardio. Thirty minutes to an hour of cardio a few times a week can raise your metabolism for the next 14 hours. Sweating a little is a small price to pay for the benefits, which include heart health and the influx of endorphins. However, overdoing cardio can be just as bad as not doing it at all, as it can exhaust and over-stress your adrenals. Keep pushing yourself, but try not to become too obsessive. Everything in moderation is key. If your daily routine is feeling sluggish and dull, try incorporating some of the above ideas to liven up your metabolism and jump start your health. You can change yourself for the better in a few simple steps. Live healthfully and moderately, and your body will oblige. How to be happy: Tips for cultivating contentment! 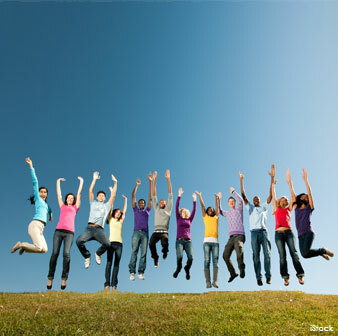 Only 10 percent or so of the variation in people’s reports of happiness can be explained by differences in their circumstances. It appears that the bulk of what determines happiness is due to personality and — more importantly — thoughts and behaviors that can be changed. Develop the habit of seeing the positive side of things. You needn’t become a Pollyanna — after all, bad things do happen. It would be silly to pretend otherwise. But you don’t have to let the negatives color your whole outlook on life. Remember that what is right about you almost always trumps what is wrong. People who strive to meet a goal or fulfill a mission — whether it’s growing a garden, caring for children or finding one’s spirituality — are happier than those who don’t have such aspirations. Instead, look for opportunities to savor the small pleasures of everyday life. Focus on the positives in the present moment, instead of dwelling on the past or worrying about the future. Everything in your life is not going to be perfect, and that’s perfectly all right. Happy people learn to accept injustices and setbacks in their life that they cannot change, and instead put their energy on changing what they can control for the better. Animal-based omega-3 fats: Low concentrations of the omega-3 fats EPA and DHA are known to increase your risk for mood swings and mood disorders. Those suffering from depression have been found to have lower levels of omega-3 in their blood, compared to non-depressed individuals. Krill oil is my preferred source of omega-3 fats. Regular sun exposure: This is essential for vitamin D production, low levels of which are linked to depression. But even beyond vitamin D, regular safe sun exposure is known to enhance mood and energy through the release of endorphins. Emotional Freedom Technique (EFT): If difficult life circumstances and the negative emotions they create are making happiness hard to come by, try EFT, which is a form of do-it-yourself psychological acupressure. This simple technique can help clear your body and mind of negative emotions so you can implement positive goals and habits more easily in your life. Happy almost new year! It’s that time when a lot of us are looking ahead and thinking of what resolutions we’re going to make for the coming year. Instead of vague or short-term goals this year, why not resolve to start a healthy habit that you really want to stick with? Have you ever noticed how the gym is extra crowded that first week in January? By mid-January the wait time for that elliptical trainer is a little bit more reasonable, and by the end of February things have pretty much settled back to normal. That surge in gym-going is a great example of how new year’s resolutions often work: we set out with the best of intentions, but our resolutions are too big or too vague to really follow through with them all year long. Starting a healthy habit takes time. I’ve read a lot about starting habits, and depending on what source you’re looking at, it can take anywhere from 21 to 66 days. That means that you need to practice something regularly for anywhere from a few weeks over two months to really make it part of your routine. And that’s if you’re practicing every day. If your healthy habit is doing something once a week or less, it’s going to take longer. Going into this with reasonable expectations is key to building healthy habits that stick! What’s great about starting a habit is that once you establish it as part of your routine, it stops being a chore and starts being part of your routine. Brushing your teeth in the morning is a great example of a habit. We wake up bleary-eyed, and for many of us the first thing we do is stumble into the bathroom and grab that toothbrush. It’s almost a reflex, right? New years resolutions so often are something vague – like “get in shape,” but vagaries are hard to stick to. Check out these ideas for healthy habits that you can form in 2013, and remember: practice makes perfect! Practicing gratitude is such a great habit to get into, and turning that practice into something physical can help you remember to be grateful for what you have every day. Get yourself a mason jar or a small vase, and every day, write down something that you’re grateful for and stick the paper in the jar. Your moment of gratitude can be as simple as something like, “Made an amazing pot of coffee this morning!” to bigger things like, “Got a promotion at work today!” Remember to date your moments of gratitude, so you can jog your memory about them later on. Have you always wanted to learn how to make pottery or cook Indian food? Instead of just resolving to do those things, sign up for a class! I know, pottery and cooking classes can be expensive. If you don’t have the money in your budget for a class, spend some time googling and see what resources you can find online. Then, create yourself a structured schedule and block out time each week to practice whatever it is you’re trying to learn. For the Indian food example, maybe you can bookmark a dozen recipes, and try making one or two a week, starting with the ones that seem simplest. You can also invest in a book, which can be very helpful. Sometimes having a tangible item can help keep you motivated. As cliche as it sounds, a lot of us do want to lose some weight in the new year, and that’s OK! Focusing on weight loss tends to be ineffective, though. Instead, try focusing on getting regular exercise. One of the best ways I’ve found to incorporate exercise into my schedule has been…incorporating it into my schedule! Literally. Whether you use a day planner or a digital calendar to keep up with appointments, schedule those workout just like you’d schedule a work meeting or a lunch date. You can join a gym, but you can also just buy a pair of tennis shoes and head outdoors for your workouts. 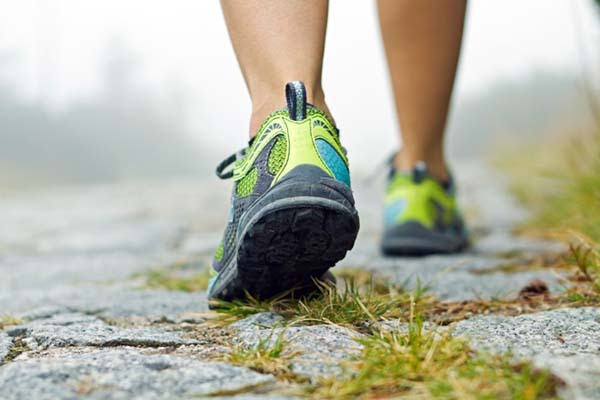 Walking and jogging outside are totally free activities that almost anyone can do. It can also help to pick up a program, like Couch to 5K, or sign up for an event like a race. Training towards something specific is very motivating! 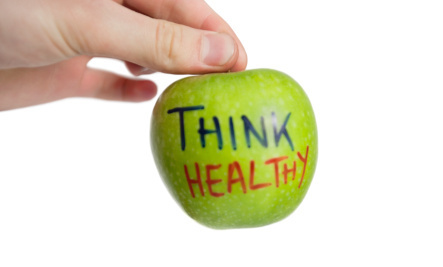 “Eat healthier” is another common resolution that’s hard to keep. Instead of just resolving to improve your diet, try focusing on something more concrete. 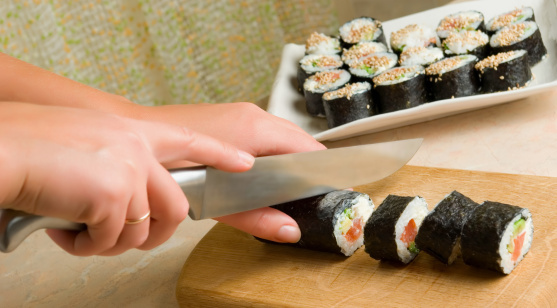 When we cook at home, we tend to eat healthier food than when we go out or order takeout. That doesn’t mean you have to toss your favorite Chinese delivery menu in the recycle bin! If you eat most of your meals from restaurants now, try cooking at home once or twice a week to start, and add in more meals as you get more comfortable in the kitchen. When you choose your recipes for home-cooking, look for ones that have healthy doses of fresh fruits, veggies, whole grains, and lean protein. You can grab a couple of healthy cookbooks to get you motivated or search online for recipes. Cooking Light and Epicurious both have searchable recipe databases, and you can even look for specific ingredients, if there’s something in the fridge that you need to cook before it goes bad! Are you a smoker? Is sugar your weakness? Do you love diet soda? We all have vices, and cutting back or cutting out one of yours can mean a healthier, happier 2013. The trouble with a resolution like “quit smoking” is that on its own, it’s a pretty daunting task. Instead of just resolving to give up a bad, try replacing it with a good one. Quitting smoking is hard, but what if you’re trying to start a running regimen at the same time? Suddenly, your smoking is holding you back from another goal, which makes it a little easier to say no to the bad habit. For something like diet soda or sugar, replace those unhealthy treats with healthy ones. Next time you want to reach for a diet coke, grab a fizzy water and sass it up with a squeeze of lemon or a shot of juice. Put down that cookie and grab a tangerine instead. The other key to ditching bad habits is not beating yourself up if you slip. So, you had a few drinks at the bar and smoked a cigarette last night. You can’t change that. Just don’t smoke today! Or tomorrow. Go easy on yourself, and remember that your goal is a long term one. It’s easy to make snap decisions – sometimes ones we regret – in stressful situations. When that happens, we just end up even more stressed out! This year, resolve to try being more mindful in tough situations. Try to remember to take a step back and look at the big picture. Whether you’re faced with a time crunch at work or a family emergency, I bet you’ll find yourself making better choices and stressing less. The key is finding better, concrete ways to deal with your stress right there in the moment. Try taking a deep breath and slowly counting to five when you feel things getting out of control. Or even learn when it’s time to remove yourself from a situation to give yourself a little perspective. Mindfulness can also be about celebrating what’s good in our lives. Pairing up this resolution with another one, like the gratitude jar, can help you remember what’s important in life when times get a little stressful. Self care is all about taking the time to care for your own emotional needs. We can get so caught up in the day-to-day that we neglect our own mental health. When you practice self care, you not only improve your own happiness, but you set yourself up to approach the rest of your day with a more positive attitude and more energy. Practice a little self care every day, and when you make this resolution decide what that means to you. It doesn’t have to take a lot of time. It could be as simple as taking the dog for a walk while you listen to your favorite podcast or spending 20 minutes one evening painting your nails. Just do one small thing for yourself. Whenever I talk about self care, I like to share this video from Twin Peaks. It’s a little bit cheesy, but I think the point he makes is spot on. Treat yourself every day, and you’ll be happier and healthier. One of the best ways that we can improve ourselves is by giving back to others. Try signing up to walk dogs at the local shelter or help out once a week at the local food bank. 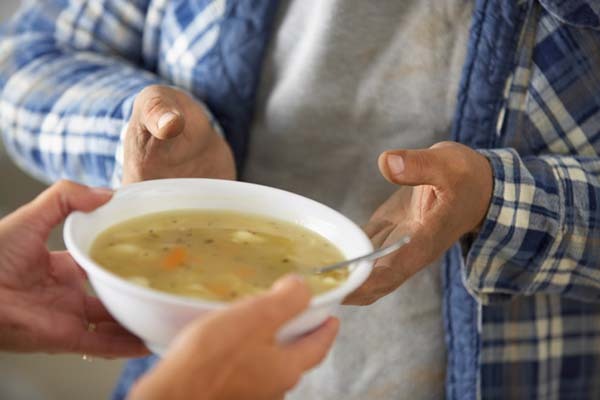 Giving back improves your community, and you get to go home feeling warm and fuzzy. Everybody wins! We are all blessed with so much, and taking time each week or even a couple of times a month to give back can help remind us of how lucky we are. 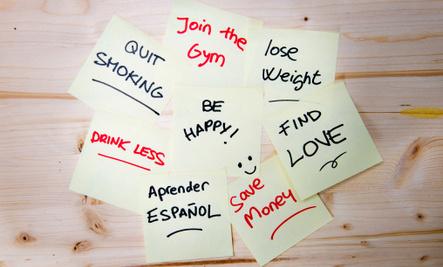 Do you have a healthy habit planned for 2013? 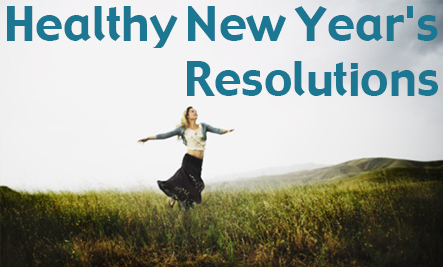 I’d love to hear your healthy new year’s resolutions in the comments! Each new flu season we seem to be bombarded with an endless crop of suggestions on ways to keep the bugs at bay: vitamins, herbs, sanitizers, vaccines–you name it. But the most effective way to prevent illness often gets lost in the shuffle (probably because it is so strikingly simple): Wash your hands! According the Centers for Disease Control and Prevention (CDC), handwashing is the best way to prevent infection and illness. And imagine–it is cheap, it does not hurt the environment, and there is no question about negative implications for our own health. It is such an obvious win-win. 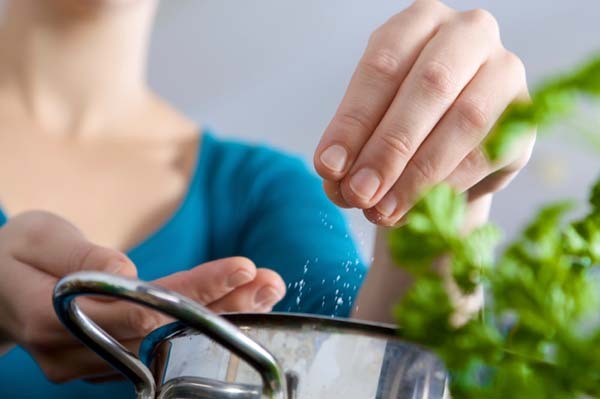 The CDC recommends that we wash our hands before preparing food and after handling uncooked meat and poultry, before eating, after changing diapers, after coughing, sneezing, or blowing one’s nose into a tissue, and after using the bathroom–to that I would add a good wash as soon as you or your children come home from school, work, errands, playing, etc. When out, dry your hands using a paper towel or air dryer. If possible, use your paper towel to turn off the faucet. If soap and clean water are not available, use an alcohol-based hand rub to clean your hands.